This Earth Day, teach kindergarteners the importance of taking care of our planet with these eco-friendly worksheets. 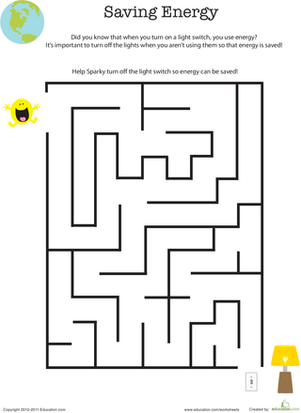 Teach your child about saving energy with a fun maze. He'll boost his fine motor skills and learn about the importance of turning off the lights. This worksheet introduces kids to the recycling symbol, and they boost their fine motor skills as they complete the puzzle. 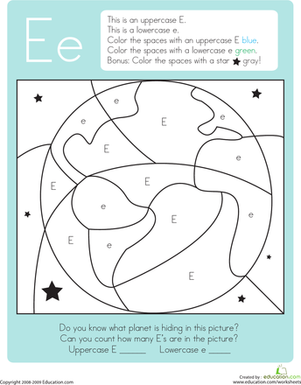 This color by letter kindergarten reading worksheet features capital and lowercase E. Kids use a key to color the page and reveal a hidden Earth picture. 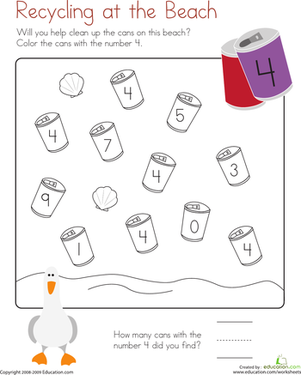 Teach your child the importance of recycling with this fun coloring worksheet! 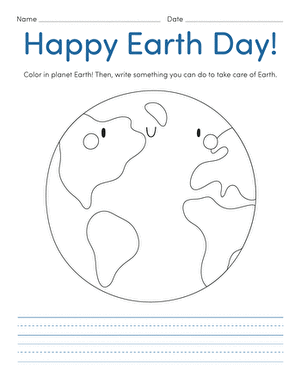 Help your child celebrate Earth Day with this simple coloring page, which features a planet with the message "Happy Earth Day." Plant your own paper flower garden with this fun activity! Your child will color the flowers first, and then learn to sort them out. Hug a tree, it's Earth Day! Celebrate our home planet with this fun mini-book that your child can make herself.